Software for Wireless Data Loggers. Software Compliant to CF3 Standard. 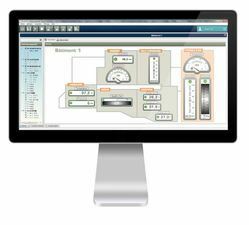 Software for HVAC and BMS Energy Saving. Software for for all HVAC and R Applications to Control Temperature, Humidity, Velocity, Pressure, and HVAC Parameters. RS 485 input module, 8 relay outputs. 7 inputs : Digital, Counter, Frequency, RS 485 output. 16 digital inputs, RS 485 output. 8 thermocouple K, J and T inputs, RS 485 output. 6 NTC thermistance inputs, RS 485 output. 6 Pt 100/Pt 1000 analogue inputs, RS 485 output. 8 4-20 mA / 0-10 V analogue inputs, RS 485 output. PC link module with RS 232/RS 485 connection. PC link module with USB/RS 485 connection. Data processing software for additional PC and safety key. Acquisition/monitoring (A) and data processing (E) software, and safety key. software allows to configure, record and display data in real time, and also to process all data measured by KIMO transmitters andprobes. VISION CFR is the key software for all users who require traceability, as per"21 CFR part 11" norm. Security and integrity of data are guaranteed; no possibility to modify or tamper with data. AKIVISION software enables to configure all transmitters and modules of your installation, and to record and display measurements in real time. Kimo Kilog Software is Document Interface that allows you to open several files simultaneously. browses all disks the user can access from a standard Windows opening file session. graph and a summary of the campaign. create new file using the points of the period from the displayed graph. 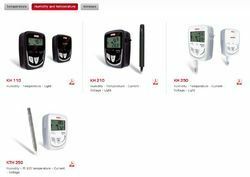 Looking for Software for HVAC Sensors, Portables and Data Loggers ?